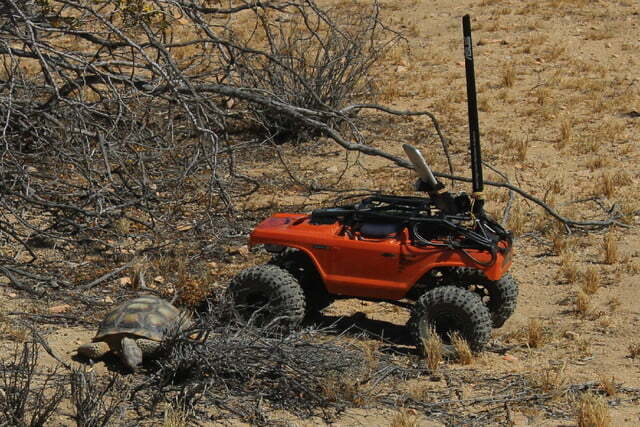 Could mobile, internet-controlled RC buggies and live-streaming video be the last great hope for the survival of desert tortoises in Southern California? 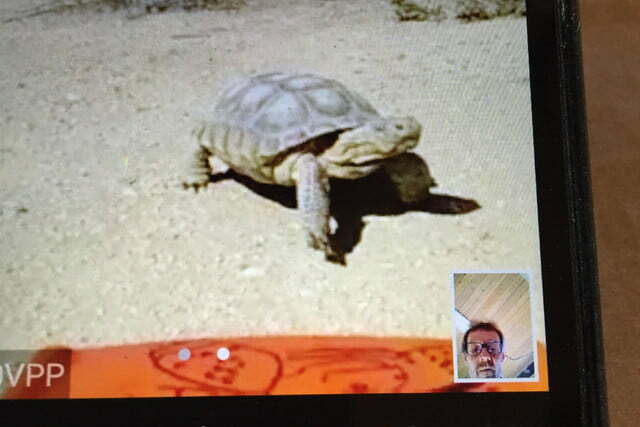 A group called Hardshell Labs certainly thinks so. Led by nature-loving environmentalists, game makers and roboticists, the group is currently responding to the decline in numbers of its favorite slow-moving, shelled reptiles — mainly as the result of predation by ravens. That’s where the RC buggies come in. 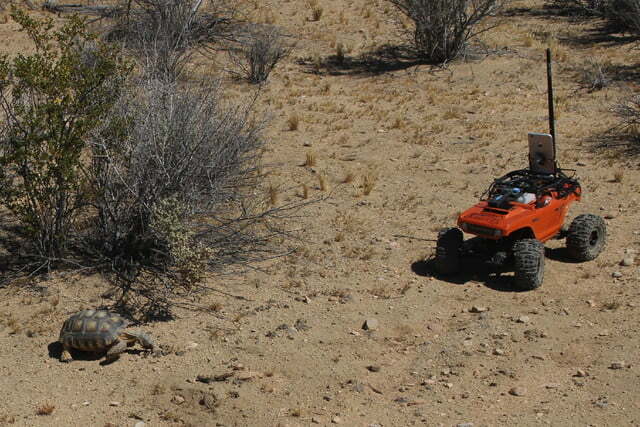 Operating under the name Guardian Angel, the live-streaming buggies are about the same size and speed as tortoises, and have an uncanny effectiveness when it comes to scaring off ravens. 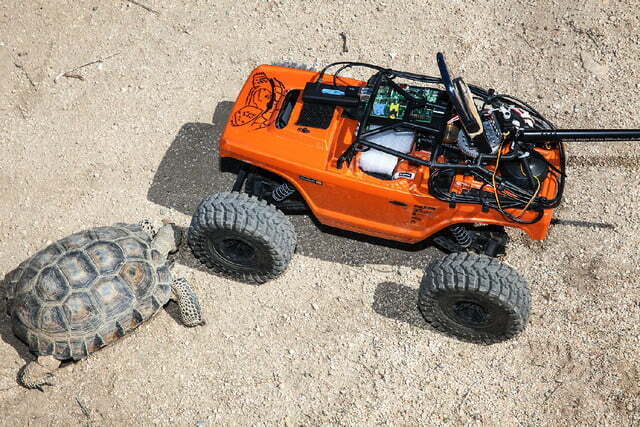 The idea is that users from all over the world can take control of the RC rovers and use them to follow alongside the tortoises as, well, their guardian angels. 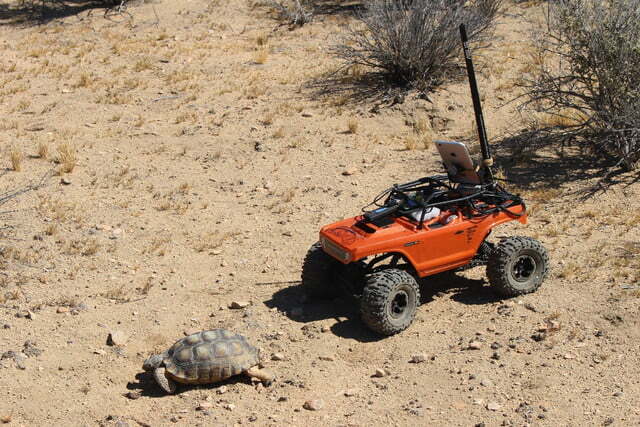 Hardshell recently completed tests of a web-controlled unit, and the concept seems to be gaining traction.